The Rebel Sweetheart. 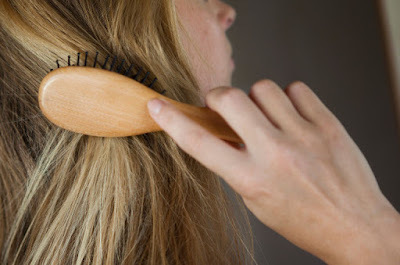 : 5 Ways Good Hair Can Improve Your Life. Do you ever envy individuals who seem to have luscious locks? They walk past you, and you can’t help but stare. We get it - it is human nature to be attracted to a good head of hair! Whether they just know how to style it or it’s naturally perfect, having good hair is an overall good attribute. Every guy or girl is immediately attracted to someone with a good head of hair. Keep up with the maintenance of your hair, and you will be sure to improve your love life! If you are putting a lot of care and effort into your hair, it will just happen naturally. You will start noticing people wanting to talk to you more, or maybe your crush will finally notice you. Good hair can enhance an individual’s appearance almost immediately. Everyone notices someone with nice hair, whether it is the color, the style, or the length. Choose something that fits you well because good hair is hair that complements your look. Good hair always kills the social media game. You don’t even need to show your face when it comes to taking great pictures! Flip your hair, hold a coffee cup, laugh, and you now have the ultimate photo. Often people with great hair amass a huge number of followers because people love their hair, or want hair tutorials, styling ideas, or hair inspiration from these stars. If you always have a cute hairstyle, you will immediately be more popular online. In fact, you could become a hair vlogger if having good hair every day comes naturally to you. Once you kill the hair game, you should share your secrets with others! Having good hair will immediately increase the number of compliments people give you almost daily. You will find that everywhere you walk, someone will either be staring at your hair or talking to you about it. If you got it, flaunt it! Good hair will give you that extra boost of confidence you need every day. If you didn’t have time to put on a good outfit, no need to worry—your hair will make up for it. Everyone can appreciate someone with great hair every day. So flip your hair, flash a smile, and feel good about your hair! Take advantage of your new confidence booster. If you have good hair, it shows the world not only that you are put-together, but you have good hygiene. It is important to give off a vibe that you know how to take care of yourself and that you care about how you look. Everyone knows that one person who has their hair in the same bun or ponytail every single day and never changes it up. It shows they don’t care about their appearance or they don’t take good care of themselves. Taking good care of your hair is important to maintain hair health and its appearance. It is easy to dazzle people with a good hair flip—have you ever tried it? Whether you are being told you can’t enter a certain party, or you can’t get a table at that special restaurant, or you can’t get the job you wanted, sometimes having effortlessly good hair will increase your chances of getting the things you want that you normally can’t have. Good hair shows status and that you can be taken seriously! If you want to achieve that effortless look, this includes a fair review on hair products that will help. Funny you should discuss how hair can enhance your life, because all it does for me is annoy the crap outta me! I just lost my comment some how. I definitely agree with three and four. Great hair can be a huge confidence booster. Also nice hair shows those around you that you care enough about yourself to takecare of you. On no, well written, and I've just chopped all my hair off !! Couldn't agree with you more that if you hair is healthy you are healthy. I can tell if I'm not healthy it shower in my hair. interesting points - but I went completely opposite from this. I was tired of having the same typical hair/barrel curls as everyone else. Now I rock my pixie cut and still slay - no hair flip required. Having a good hair day can make a big difference to your confidence throughout the day for sure! When you know your hair is on point you can approach people and look them straight in the eye with confidence. Great post! You are so right on this! I LOVE my long hair, especially when it is all done and curly! I get so many compliments on it and it is amazing what a confidence booster it is! I also think, when looking at others, that a healthy head of hair shows good hygiene and overall healthy appearance. This is something that I really need. My hair really looks bad and this would be a perfect idea. A good hair day will positively affect my outlook for the rest of the day. I am inclined to agree with you here. Healthy hair healthy mind! I always do feel better after I have treated my hair with some love. I agree that good hair is definitely a great way of boosting your confidence. I had my hair done for the first time in a while and it did help me look and feel good. It is a great confidence booster! I'm with you on the confidence boost! I always feel so much better when I'm having a good hair day! Hey, you got a really great post. Many people take hair care for granted. That being said, I tend to take good care of my hair especially after I had it coloured. Ooohhhhhh sweetheart, I love the "hair-flip" idea! I think I must try it out when my dreadlocks have attained an even level of length....what do you think? Otherwise, good stuff you shared there. I definitely agree that a good hair can improve your life. I have to share this!